Fiscal cliff news remains the most likely market driver this week, assuming no major surprises related to the EU debt crisis. That’s because the fiscal cliff is ‘only’ a recession threat. The EU crisis is an economic and market collapse threat. Given that there is still time before yearend, the likelihood is for more of the same brinksmanship and haggling that has characterized past deficit and budget negotiations, just like last week. Last week’s tight trading ranges and low volatility suggest that markets anticipate a deal that does not radically deviate from the current situation; most of the pain is expected to be deferred yet again with only minor headwinds to growth from new taxes or spending cuts. In sum, that mean US economic prospects don’t change much except that the uncertainty of the outcome is removed. That’s likely good for a short term relief rally, no more. The uncertainty is gone, but the reality is not markedly improved. Instead, it’s likely to bring, to some degree, higher taxes and spending cuts. That said, unless there’s conclusive news good or bad (a deal is all but done or lost), this is likely to be a less prominent driver this week because there will be a lot more competition for attention this week, see below for details. Greece: The EZ’s bond buyback scheme fails, which would cause the IMF, Finland, and Holland to withdraw their share of the 44 bln EUR transfer to Greece (or more accurately, banks holding maturing Greek bonds). The buyback is supposed to be completed by December 13, when EU finance ministers plan to release their share of the cash. Any news related to the bond buyback could thus move markets up or down. Spain: Spain has a 10 year bond auction this week. Thus far the mere potential of unlimited ECB purchases of Spain bonds has kept Spain’s borrowing costs falling. However as we noted in a few weeks ago in CRASH ALERT: A TOXIC MIX OF EVENTS HEADING INTO 2013, Spain needs to sell over 20 bln EUR before the end of January. Anything that spikes risk aversion, and thus Spain bond yields, could force Spain into needing the OMT activated fast. However that may not be possible because conditions for receiving this aid have yet to be settled. That means there’s a danger of a sudden crisis and need for a last minute deal. Given the stakes, such a deal is likely, but not before markets get a good scare. In the EU, as in the US, there’s little upside from the good news except for a brief pop higher in risk appetite, and lots of downside potential from the eventual, still looming defaults and contagion risks. Most expect data to continue to show contraction in the EU, and last week ECB President Draghi’s relatively bullish view conceded there was no upturn in sight before the second half of 2013. So beware of any hyped about reports beating expectations. Remember, PMIs below 50 still indicate contraction. Consensus is for about 91k jobs versus the 171k new jobs added last time. While anything over 110k would be heralded as a major victory, keep perspective. The consensus figure that would meet expectations represents a 47% drop from last month’s 171k, which was still less than what’s needed. How markets will react will likely depend greatly on how much the result is seen as a one-time Hurricane Sandy aberration and thus not indicative of future reports. Thus we assign no positive or negative bias at this time as the outcome and market reaction is too unclear. Also on Friday there are reports on hourly earnings that shed additional light on what US consumers are earning, and so what they might spend, which comprises ~70% of US GDP. For the world’s largest economy, consumer spending is the largest component of GDP. This report takes on added weight because the US is now in the middle of its peak consumer spending period, and it will influence sentiment about spending and, and everything related to it, including GDP. This week from Tuesday to Thursday we’ve got them for from Australia, Canada, New Zealand, the UK, and ECB. The rate statements themselves rarely surprise, but the press conferences are potential sources for changing market outlook on the size and pace of interest rate changes (if anything, mostly rate cuts as central banks seek to soften the effects of the global slowdown). Monday: Australian retail sales, South Korea manufacturing PMI (considered a bellwether PMI for Asian manufacturing), UK manufacturing PMI. Friday: Australia trade balance (like much of Aussie data, is significant also because it’s a gauge of China business activity), UK manufacturing production. Using the S&P 500 as our barometer for risk assets, we see that the multi week and multi-month trend remains firmly upward, despite the negative fundamentals noted above. In sum, the chart tells us we’ve an established uptrend, but it has yet to break through the current 1400 -1430 major resistance level. Fiscal Cliff: The most pro-market outcome possible would be more kick-the-can, extend/pretend – that there are no changes from our current status. All tax breaks remain in effect, all planned spending cuts are deferred. This outcome would at best generate a brief relief rally, but soon all realize that the only improvement is the removal of short term uncertainty. The worst case scenario is that all tax hikes and spending cuts hit and the US takes a ~4% GDP hit, with predictable knock-on effects for the global economy, etc. EU: The same goes for the EU – the most pro market response hoped for is defer the pain, prevent inevitable defaults. These two big issues both ultimately mean continued unprecedented money printing and ultimate currency debasement as governments make desperate attempts to stave off disaster. It’s debatable whether these policies serve the greater good. What is clear is that they will sabotage wealth building for anyone based in the USD, EUR, JPY, or other currencies subject to financial repression regimes. So it’s critical for all to increase exposure to the better managed currencies. 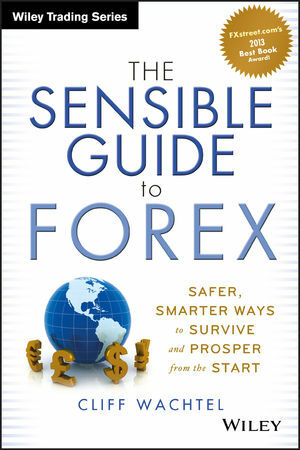 For guidance on simpler, safer ways to do that than generally practiced in forex trading or international investing, just enter “The Sensible Guide To Forex” into your browser. It’s the only forex book extant designed for conservative, risk averse investors or traders. As the chart below shows, rapid, dramatic shifts, characterized by massive inflows of cash into such savings accounts usually coincide with times of great monetary stress: the three biggest episodes in history to date have been the 2008 Lehman failure, the August 2011 Debt Ceiling Crisis and associated US downgrade, and the May 2009 First Greek failure and bailout. The largest ever weekly inflow, ~ $132 billion, occurred just 2 weeks ago. Do these insiders know something we don’t?